The New South Wales Police Force, Australia's oldest and largest police organization, took to Facebook on November 29 to seek the public's help in identifying a suspect in an attempted carjacking. "A 55-year-old woman was reversing her vehicle out of a driveway in Young, when she was approached by an unknown male," the organization wrote on Facebook. "The male allegedly opened the driver's side door and attempted to pull the woman out of her car, where a struggle ensued." Although the woman was successful in fending off her attacker -- she knocked him to the ground and ran away, taking her car keys with her -- police are still attempting to find the aforementioned male, "who may be able to assist with inquiries." "He is described in the e-fit image as being of Caucasian appearance, aged between 15 -20 years old, approximately 165cm tall, and clean shaven," the NSW Police Force wrote. "He also has a tattoo on his right hand between his thumb and forefinger. He was last seen wearing a black hoodie, board shorts and sneakers." Sounds like a clear-cut description -- only problem? This is the photo they gave the public to work with. Since it was posted, the bizarre image has been shared over 1,900 times and has racked up more than 1,300 reactions. Naturally, the Facebook community is reveling in the opportunity to rip the photo to shreds. "He is described as looking like a character from an early 2000's video game," said one user. 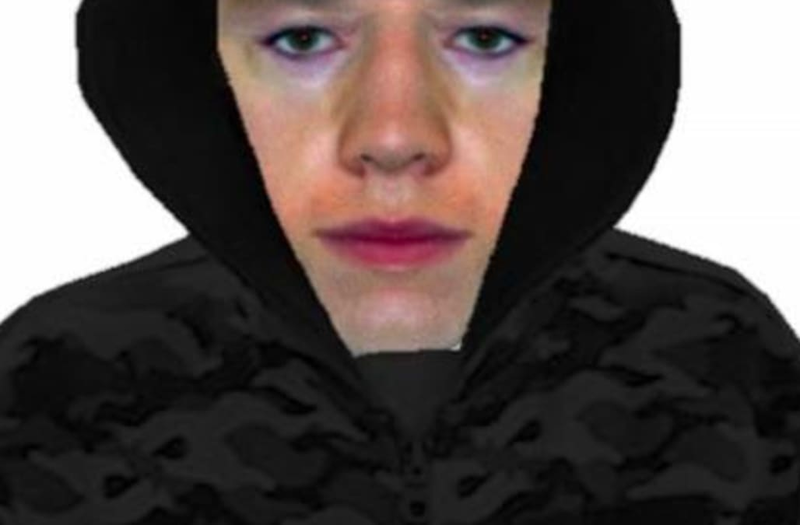 "Also described as nervous, but on the surface he looks calm and ready," joked another, highlighting the e-fit image's shocking resemblance to Eminem. "When the police budget is so low they have to use MS paint," wrote another savage. If you're able to glean any sort of relevant information from the image, other than the fact that the NSW Police Force desperately needs a technology upgrade, police are urging anyone with information in relation to the incident to report it to Crime Stoppers.